To send this file download by right clicking and save the PDF file, then attach the file to an email to forward to your client. 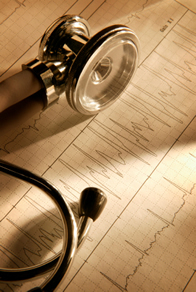 A paramedical exam consists of questions about your medical history. It also includes the measurements of your height, weight, vital signs and in some cases my include measurements of chest and abdominal circumference for males only. The whole process will only take 15-20 mins. Most of the time the paramedical exams consist of a blood and/or urine specimen collection. Collection will be facilitated by our certified phlebotomist. Electrocardiogram my be requested, depending on the requirements of your policy. It detects electrical activity of your heart. If blood specimen is required, you should fast according to provider's directives prior to the examination unless otherwise instructed. Limit the amount of salt and high fat/cholesterol intake 24 hrs prior to the time of examination. Do not chew or smoke any form of tobacco products at least one hour before the time of your exam. Avoid drinking caffeinated drinks e.g. soda and coffee. Do not engage in strenuous exercise or activity at least one hour before your examination. Drink a glass of water an hour before your exam. This will help in obtaining urine specimen if required. All the information including the physical and laboratory result will be forwarded to the Insurance Company. Everything will be kept in confidential between the applicant and the Insurance Co.
Any question regarding the policy should be directed to your Agent/Ins. representative. If you have any concern regarding your paramedical exam please feel free to call Delta Exams.